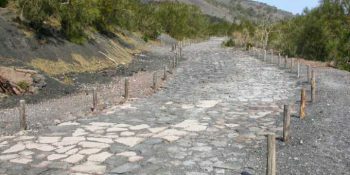 From 2001 to 2003, the Vesuvius National Park created a “Walkway Network of the Vesuvius National Park” consisting of 11 paths for a total length of 54 kilometres of walkway. 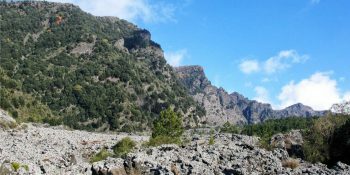 The interventions concerned the mitigation of the risk on the tracks and the preparation of the latter through specific signs for each path, describing the main naturalistic, geological and historical emergencies you can encounter while walking. 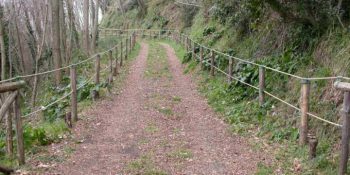 Different types of trails have been created: six circular nature trails (n. 1, 2, 3, 4, 5 and 8), an educational trail (n. 9), a panoramic path (n. 6) and an agricultural path (n.7). 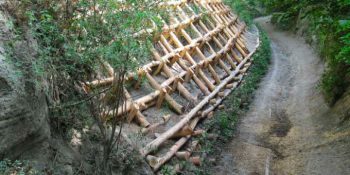 As for the mitigation of the risk, stabilization and consolidation interventions were carried out to create 584 cubic metres of double-walled palisades, 845 cubic metres of single-walled palisades, 375 square metres of metal grills, 1,433 metres of viminate , 180 cubic metres of wooden and stone bridles, 2,728 cubic metres of dry stone walls in volcanic stone, over 5,400 square metres of sowing and grassing. 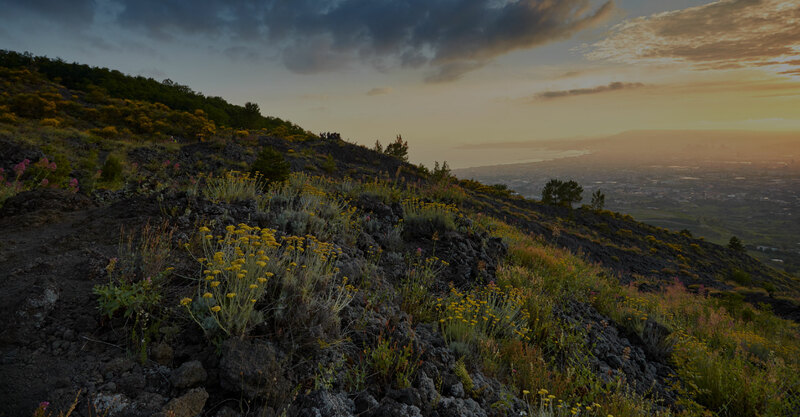 Path N. 1 - The most beautiful places and the most representative environments of the protected area. 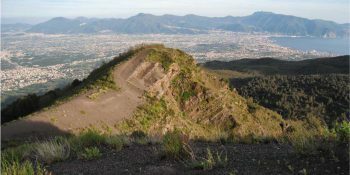 Path N. 2 - The most beautiful and wild scenery of Somma-Vesuvius. 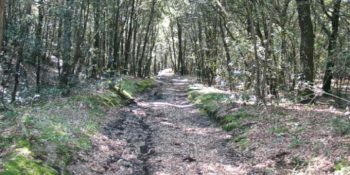 Paths N. 3 - This fascinating ring route leads to Punta Nasone, which with its 1,132 metres is the highest peak of Mount Somma. 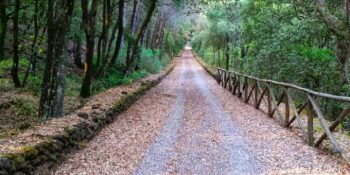 Path N. 4 - The track is located within the Tirone-Alto Vesuvius Forest Reserve, which covers about 1,000 hectares. 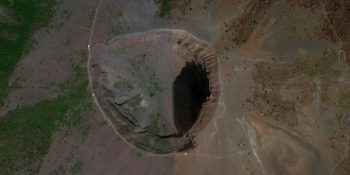 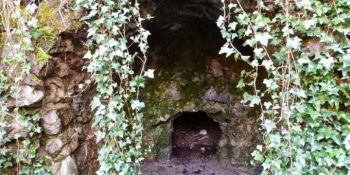 Path N. 5 - A guide to visit the Crater of the Vesuvius. 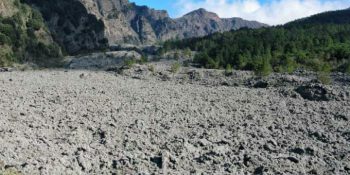 Path N. 9 - Thanks to this itinerary, you can experience the thrill of walking on a lava flow, surrounded by an almost lunar landscape. 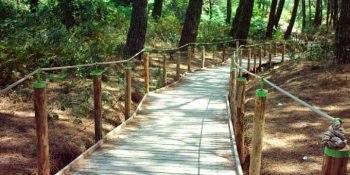 Path N. 11 - The path is flat and is inside a thick pine forest, designed for pleasant walks and for people with limited difficulties.